The restaurant industry is certainly one of the most attractive in modern business. After all, there will always be a need to eat while fine dining is an experience enjoyed by everyone. Moreover, it’s a business operation that offers immense versatility and control, especially for a food lover. Nevertheless, you’d be very naïve to think that success comes naturally. Producing great food is only a smart part of the challenge. If you want the business side of the operation to run smoothly, it’s imperative that you encourage efficiency at every turn. Wasting money is never an option. Incorporate these simple ideas, and leftover food will remain the only thing that gets trashed. Embrace Digital Marketing: Even as a localized offline business, the importance of a strong online presence cannot be ignored. Not only does a great website and large social media following offer cost-effective advertising. But it also gives you a chance to increase the trust through testimonials and positive reviews. Most new customers will conduct online research before visiting your establishment. If those online facilities set a positive tone, you’ll have a far greater chance of success. Invest In Your Staff: Your team of employees is the most valuable asset you possess. First and foremost, chefs hold the key to producing great recipes. However, everyone from pot washers to serving staff has an important role to play. Communication is a hugely significant element, especially in potentially dangerous areas. Use regular team building exercises to improve the team atmosphere, and you’ll gain far greater results. With the support of an efficient team behind you, there’s no limit to what can be achieved. Track Spending: There’s nothing wrong with spending money in business. However, wasting it is never a solution. Like all businesses, you should be doing everything you can to get cheaper services like electricity. 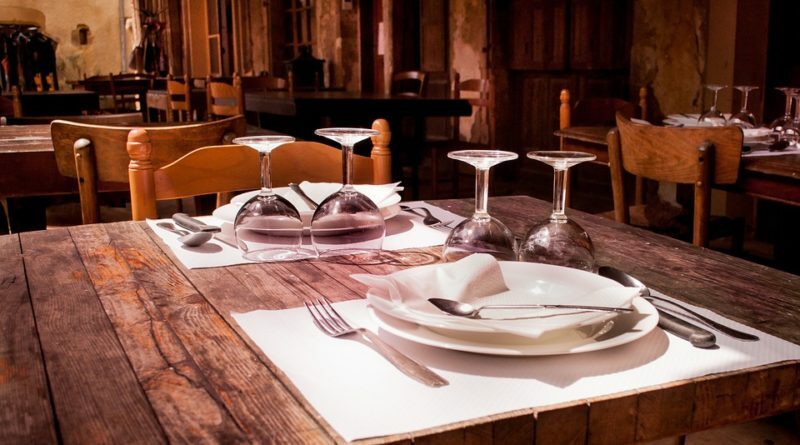 For your business, though, restaurant inventory software could be a life-saver. By monitoring where money is being spent, making calculated decisions will become far easier. Those organizational elements can only aid the tax process too. Choose A Better Layout: The dining experience isn’t all about the food. Guests are equally interested in the ambiance and atmosphere. The layout of your dining areas is vital, which is why you may want to use expert help. As well as producing an enjoyable experience, you need to be sure that the design allows you to serve a large volume of guests. Wasted space ultimately leads to lost profits. Finding the right balance is key. Use Modern Tech: Time is money. Perhaps more importantly, it has a huge impact on the dining experience too. Therefore, investing in the best POS systems can be beneficial for both the staff and the customer. It enables the team to complete more work while the guests gain a smoother transaction that offers more payment types. Combine this with kitchen gadgets to aid cooking processes and keep food in better condition, and you should see big improvements in no time.